A funny thing happened on the way to Maz Kanata’s castle. The Force Awakens gets the Forces of Destiny treatment once more, when Rey, Finn, and BB-8 join forces to help Han and Chewie keep their beloved ship in one piece. In the latest micro-adventure, the crew must work together to find Unkar Plutt’s nefarious tracking beacon before they’re caught with what is, from a certain point of view, his stolen ship. But Finn is reckless, and his rash judgement presents a whole new problem. The vignette is a fine example of the kind of quick-thinking heroics and no-nonsense leadership that inspired Han to offer Rey a job on his crew, while illustrating the importance of teamwork, especially in times of trouble. Moments both big and small shape our heroes destinies in two half-hour “Star Wars Forces of Destiny” television specials on Disney Channel in October. The first half-hour special debuts SUNDAY, OCTOBER 1 (8:00 p.m. ET/PT) followed by the second on SUNDAY, OCTOBER 29 (8:00 p.m. ET/PT) on Disney Channel and the Disney Channel App. 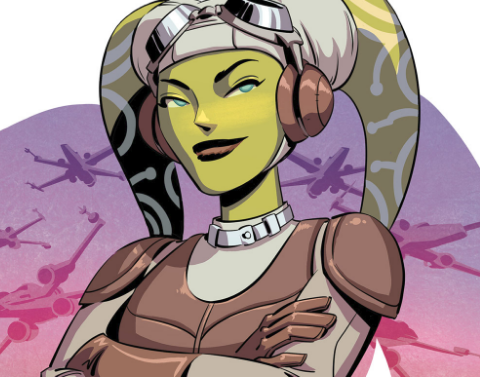 Featuring a total of eight never-before-seen installments, these specials showcase compilations of the popular animated shorts featuring Rey, Jyn Erso, Sabine Wren, Princess Leia, Ahsoka Tano and Padmé Amidala, as well as new episodes including Han Solo, Hera Syndulla, Finn, Maz Kanata and many others. 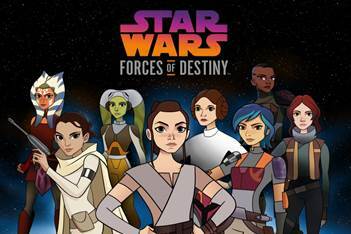 Moments both big and small shape our heroes destinies in two half-hour “Star Wars Forces of Destiny” television specials on Disney Channel on October 1st and 29th.